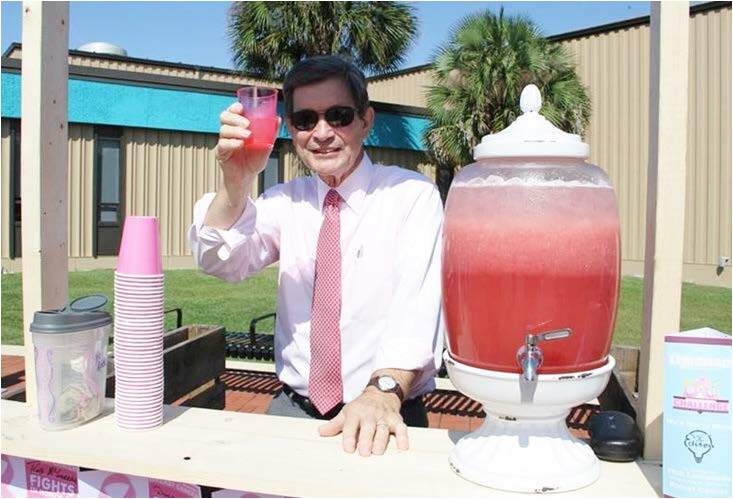 City of Tallahassee employees showed people how to cool down with a cup of ice cold lemonade. City Commissioner Scott Maddox showed off his dogs support for Go Pink. 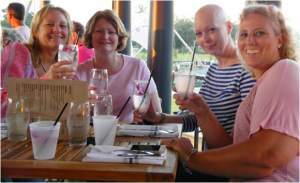 Go Pink supporters sat back and relaxed to enjoy a meal at the Edison. City Attorney Lew Shelley was hard at work behind the lemonade stands. On Oct. 1, Tallahassee was adorned in pink to kickoff breast cancer awareness month with a bang. 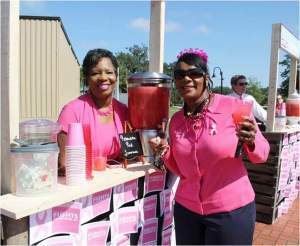 Starting with the Fourth Annual GoPink Lemonade Event that more than 100 vendors took part in one way or another. Contributors to the event had the unique challenge of taking a classic lemonade stand to raise dollars. All proceeds went to the organization The Joanna Francis Living Well Foundation, which provides support and financial assistance for unforeseen expenses while dealing with terminal breast cancer patients. Some contributors such as the City of Tallahassee, Leon County, Florida State University (FSU), Betton Hills School, The Miller Girls and Mad Dog Construction took the approach that you can’t beat a classic so they took their time to create one of a kind lemonade stands and just served good old fashion pink lemonade with sweet treats. 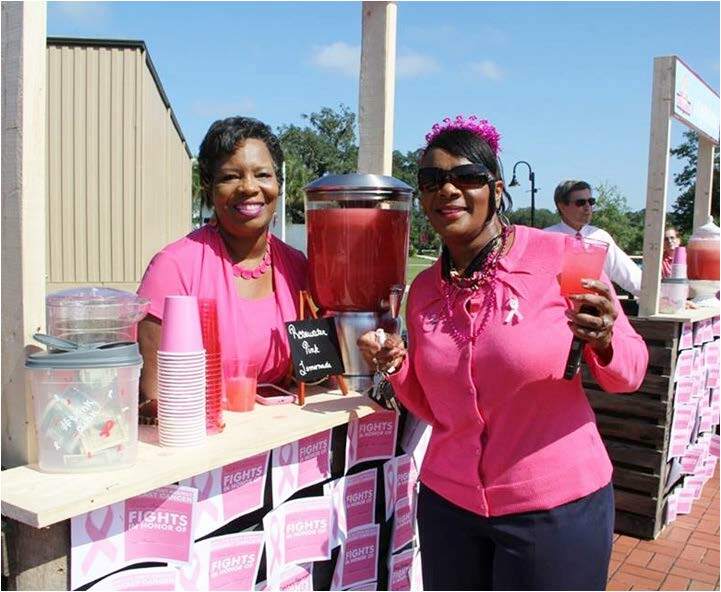 For others, the fight against breast cancer struck a chord closer to home such as the case with Bond Community Health Care Center where they weren’t only serving up lemonade but tales of survival and loss of friends. In keeping with the theme of lemonade stands, some vendors chose to put a more adult twist on the classic by serving alcoholic and non-alcoholic versions of the tasty treats. Madison Social, for example, served up Goose Island 312 pink lemonade popsicles. While The Edison served its rosewater pink lemonade or Coosh’s Bayou Rouge serving its Louisiana Style Lemonade with pink sugar on the rim and fresh sliced lemons. But nothing could top the battle between the city of Tallahassee and Leon County government. 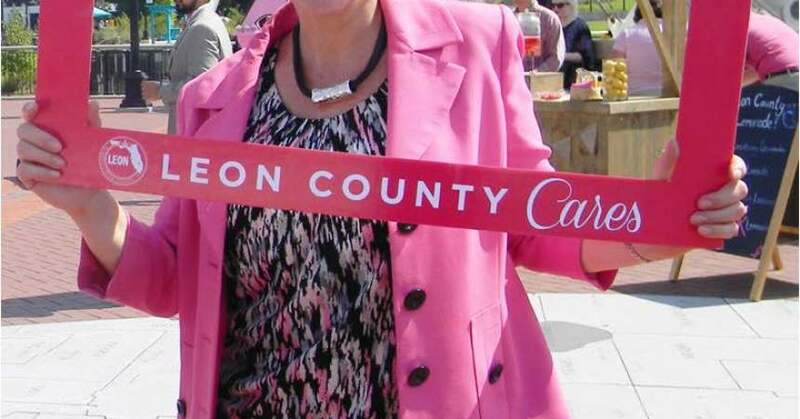 In a friendly competition, the city and county raised awareness and donations to support the fight against breast cancer. 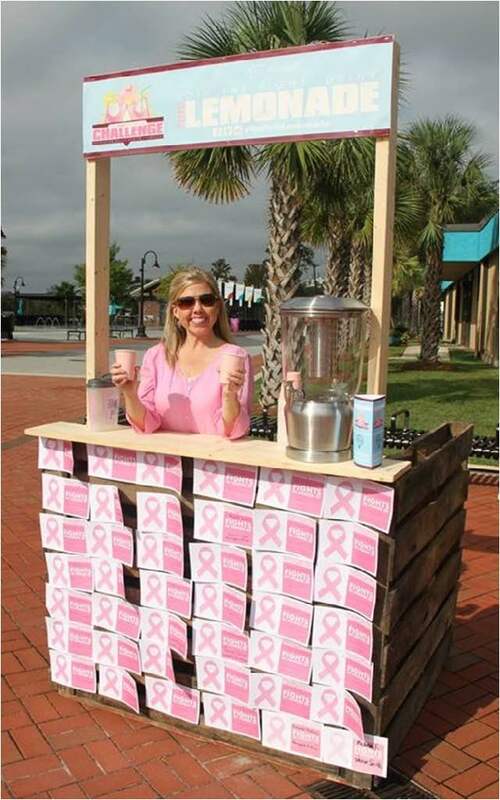 Having city and county employees join in the fight to see who could sell the most lemonade at Cascades Park. Both teams put their best foot forward in trying to rack up donations, with the county handing out cupcakes and the city showing off with a pink patrol car. But no one was working harder than the commissioners heckling one another to bring sales to their side. 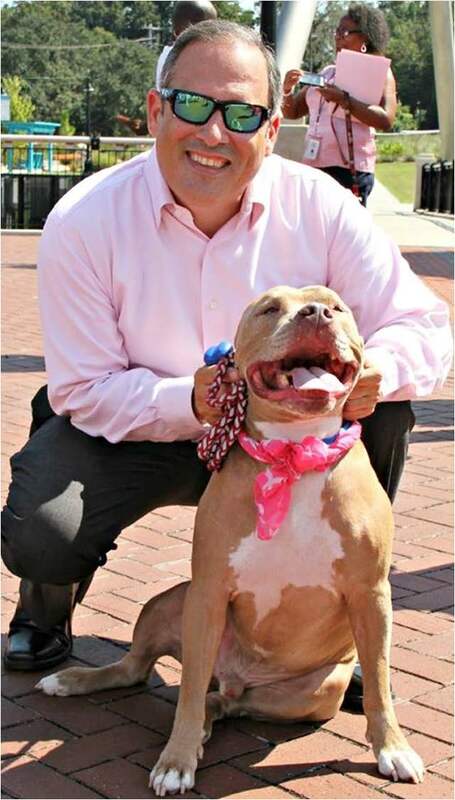 Especially County Commissioner Nick Maddox who had to admit it was one of the most entertaining parts of the event. “(The most fun part of the event was) Heckling the city of course. Our county cupcakes and lemonade are 13 percent less than the city and I get to say that all day long. We are having a little fun commissioner Ziffer and I are going back and forth. Just seeing the folks and having a great time,” said Maddox. In the midst of all the fun and games not one person forgot the purpose of the event, which was to bring awareness to the disease that claims the lives of so many people. Angela Hendrieth, manager of equity and workforce development for Tallahassee, knows all to well how important breast cancer awareness is. “Breast cancer awareness is something near and dear to my heart. I have had family members and friends who have suffered with breast cancer or and even lost some family member to breast cancer. Anything that I can do to raise awareness is just my way of giving back,” said Hendrieth. Whether you were rooting for the city or county it really didn’t matter because all of the donations went to a worthy cause. But Commissioner Gil Ziffer was not shy on showing his support for the city who he believed was going to win. “I’m rooting for the city. I have friends from the county but I’m a city man,” said Ziffer. All and all the day was filled with something for everyone and drove purpose of the little pink ribbons into the hearts of residents of Tallahassee.